Most families in our area still choose to say their last goodbyes through a traditional visitation funeral and burial service with family and friends. Ryan Funeral Home provides many burial packages for your family to choose from in order to meet your costs and personal preferences. Services may be conducted at any of our four locations, at your church, or at the graveside. There is no formula for honoring your loved one when burial has been selected. Our caring staff is here to listen to your concerns, share our experience, and help you to arrive at the perfect way to gather together before your loved one’s interment in the cemetery of your choice. To receive a funeral cost estimate, contact Ryan Funeral Home, 608-249-8257. Coordination of all service details with clergy, newspaper, cemetery, etc. Cremation refers to the manner in which you or your loved one has chosen to deal with the physical remains. The decision to cremate does not limit the ways you can honor your loved one’s life. Ryan Funeral Home offers many cremation packages that cater to your family religious and cultural needs. Again, the options are limited only by your imagination. We hope that you will contact us to discuss the wide variety of cremation options open to you and your family. A green burial, or natural burial, is a simple and natural means of burial that is an alternative to the current “traditional” funeral and allows the burial site remains as natural as possible. 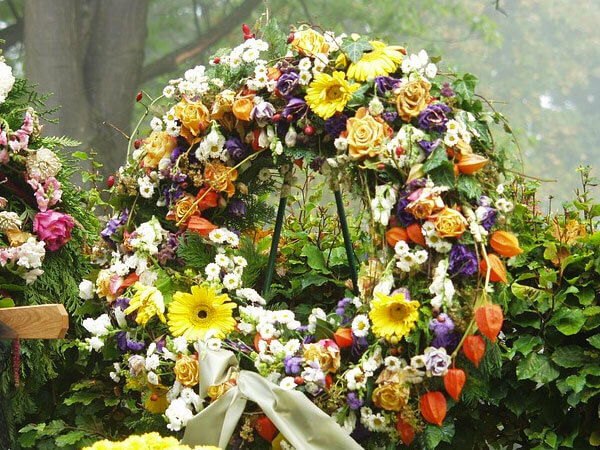 A green funeral includes no embalming, burial with shroud or biodegradable casket. 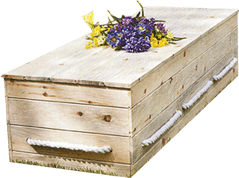 Many people choose this burial option because it is a quick and natural way to return the earth. Green burials are earth friendly options. Natural burial sites promote the growth of native trees, shrubs and wildflowers. A green cemetery will allow nature to take its course.